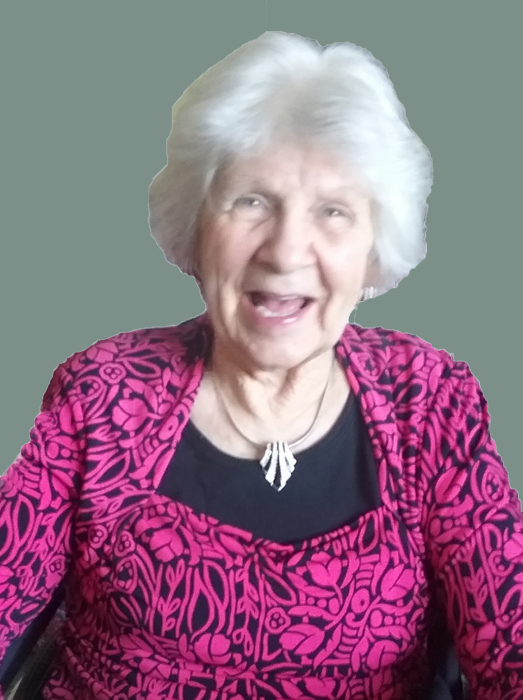 Rebecca Bailey Hamlet, 84, passed away Tuesday, April 2, 2019. She was born in Warrenton on May 14, 1934 to the late Joseph Elie Bailey and Viola Elizabeth Miller Bailey. Funeral service 12:00 pm, Friday, April 5, 2019 at L. Harold Poole Funeral Service Chapel, 944 Old Knight Road, Knightdale. Burial will follow at Beulah Christian Baptist Church Cemetery. The family will receive relatives and friends prior to the service from 11:00 to 11:45 am at the funeral home. Surviving: daughter, Carolyn Chalk (Bobby) of Zebulon; grandchildren: Charity Wolfe (Chris), Chasity Jackson (Joe); great-grandchildren: Amanda Perry (Stephen), Stefan Wolfe, Peyton Wolfe, Corey Beddingfield, Josh Jackson, Joseph Jackson; brother, Leroy Bailey; step-grandchildren: Pam Chalk, Ricky Chalk (Angel); step-great-grandchildren: Jesse Chalk, Jessica Hamner, Christen Cleere; two step-great-great grandchildren. In addition to her parents, Rebecca was preceded in death by husband Stanley Hamlet; siblings: Lena Mae Rutledge, Richard Bailey, John Ed Bailey, Clarence Bailey, Louis Bailey, Roger Bailey, Anna Belle Murray, Viola Elizabeth Knoll.